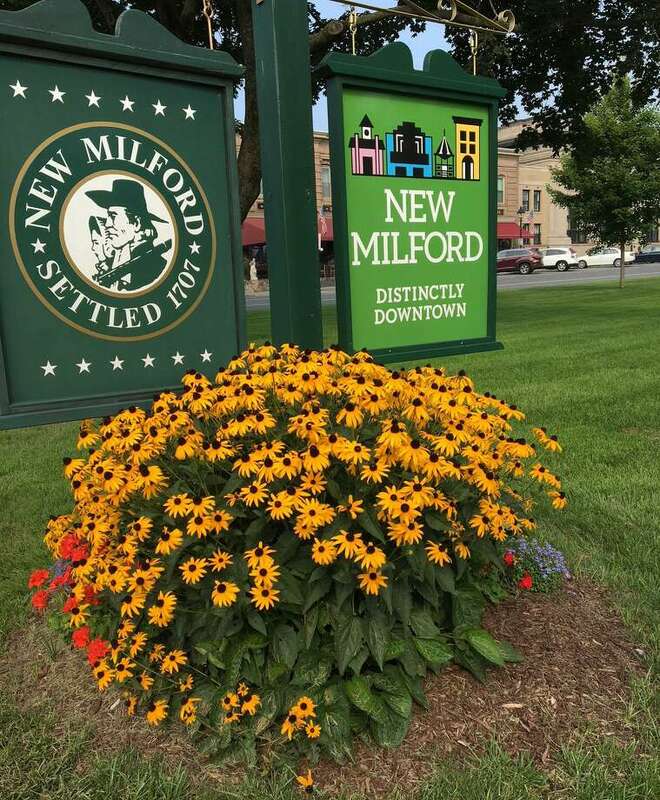 The New Milford Garden Club will celebrate its 95th anniversary with a special gardening show Sept. 15 from 10 a.m. to 3 p.m. The event, which will be held at the John Pettibone Community Center at 2 Pickett District Road, will feature displays, lectures, floral designs, activities for children, door prizes and refreshments. Lecture topics will include “Water Conservation” with Aquarion Water Co. at 11 a.m.; “How to Design a Garden” with Michelle Gervais at noon; “Beekeeping” with Mark Mankin at 1 p.m.; and to be determined at 2 p.m. The club’s mission is to stimulate interests in gardening, address conservation issues, promote civic projects, and to enjoy the artistic use of flowers and other plant material, while maintaining the beauty of the town. Throughout its history, the club has planted numerous trees, including the flowering pear trees on Bridge Street and the weeping willow trees on Young’s Field Road. In 1924, the club planted an evergreen tree on the Green that was decorated for the holiday becoming the town’s first live Christmas tree. Presently plans are being completed to plant two oak trees at the community center before year’s end. The club has also planned, planted and cared for numerous landscaping projects and gardens throughout town. Past sites have included our schools, the hospital and the library. Gardens on or near the Green were planted and maintained during those early years and continue to this day. Plant containers like the large ones on Main Street are also tended to by club members. In 1975, a colonial garden was designed and planted on the grounds of the historical society. The garden was recently restored by members. Educational topics relating to the club’s purposes are addressed at monthly meetings that are open to the public free of charge. During the war years, meetings dealth with ways to help people cope with food shortages (victory gardens, canning clinics, etc) and they created ways to help veterans and their families during and after the war. Monthly programs have also included topics such as, water conservation, rain gardens, pesticides, endangered plants, container gardens, tree health, pruning, bees, birds, butterflies, flower arranging and more. The club has held many flower shows over the years, as well as helped with holiday decorations on and around the Green and at the hospital. Members decorate a live Christmas tree, donated by Northville Volunteer Fire Department, on the bandstand on the Green each year, and make holiday wreaths for the memorial monuments. The club also helped with plans that brought the Traveling Vietnam Memorial Museum to town, and holds an annual plant sale.